Artificial intelligence (AI) is emerging as a key tool in just about every industry, from marketing to recruitment and beyond. But one particularly powerful application for AI is in healthcare, where we’re already seeing early signs of its potential. Iowa-based startup Idx is one such startup that is using AI to detect early signs of specific medical conditions. Its first system, IDx-DR, is an AI diagnostic system that analyzes images of the retina for signs of diabetic retinopathy, a complication of diabetics caused by high sugar levels. This means that health care providers, including doctors who are not eyecare specialists, can use the IDx-DR system to detect diabetic retinopathy without requiring a specialist clinician to interpret the image scan or results. In April, Idx received FDA-clearance for its IDx-DR system, and in June it was put to work in in clinical practice at University of Iowa Health Care. This week, the company announced a $33 million tranche of funding led by 8VC, with participation from Optum Ventures, Alpha Edison, and Heritage Provider Network. This takes the company’s total funding to date past the $44 million mark, and it’s now well positioned to grow IDx-DR across the medical realm. “We expect this investment to accelerate the adoption of IDx-DR, a unique and much-needed solution for the 30 million people with diabetes in the U.S. alone who need to be tested for diabetic retinopathy each year,” noted Idx vice chairman Stefan D. Abrams. But this also represents the latest in a line of recent big raises garnered by AI healthcare startups. A few months back, Zebra Medical Vision raised $30 million from some big-name investors for a deep learning image analytics platform that helps radiologists detect diseases. And Viz.ai is also setting out to leverage AI to detect early signs of time-sensitive medical conditions, with its first product analyzing brain scans for signs of strokes — it recently raised $21 million from Kleiner Perkins and Alphabet’s VC arm GV. Elsewhere, GV invested in medical machine learning startup Owkin, while Google’s AI-focused Gradient Ventures invested in BenchSci, an AI-powered search engine for biomedical researchers. With concerns permeating society over the extent to which AI will destroy jobs, among more pressing safety concerns, if AI can show its value in the medical realm it will stand a far greater chance of winning people over in the long run. In addition to diabetic retinopathy, Idx said that it’s developing other AI-centric diagnostic systems to detect glaucoma, stroke risk, Alzheimer’s, macular degeneration, and cardiovascular disease. : Get the latest news in your inbox every weekday. There are 88 keys on a piano. 64 colors in the big box of Crayola. You can’t own a key and you can’t own a color. But once you start combining elements, the possibilities go way up. The opening chord of a Hard Day’s Night is a unique signature. So are the colors in a Lilly Pulitzer dress. Your work can struggle to fit in. Or you can do the hard work of having it stand out. As you can see from the notes on the single chord the Beatles developed, it’s not obvious or simple. And most of the time, it doesn’t even work. But if you find a chord and stick with it, again and again, for years, then, over time, it might become yours. Oil prices jump 1% as markets continue to prepare for the imposition of fresh sanctions on Iran by the US. Concerns about supply constraints likely to emerge once the new sanctions come into place in November are driving the oil price higher right now. Brent crude, the international benchmark, is at a high not seen since autumn 2014. You can follow oil prices live at Markets Insider. 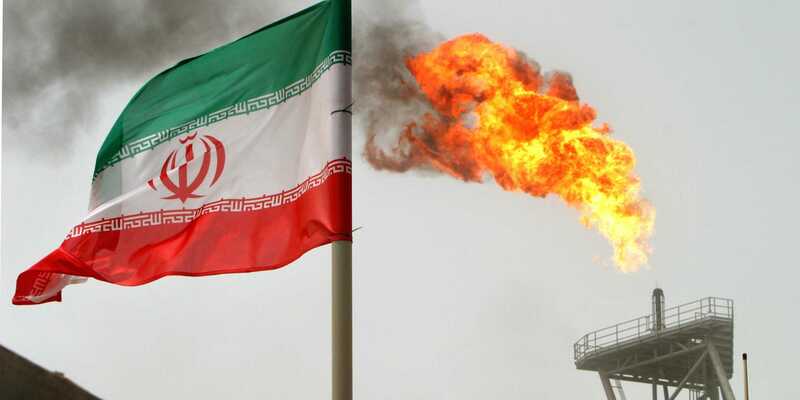 The price of oil is approaching $82 per barrel on Thursday as investors continue to pour into the commodity ahead of the imposition of fresh US sanctions against Iran, the world's fifth largest oil producer. Concerns about supply constraints likely to emerge once the new sanctions come into place in November are driving investors to buy into oil ahead of time, in turn pushing up prices. West Texas Intermediate (WTI), the US benchmark, is also seeing gains on Thursday, up 1.3% to $72.50 per barrel in European morning trade. "Oil prices remain in the bulls domain amid concern that US sanctions on Iranian crude oil exports will result in much tighter physical market conditions once they take effect in November," Stephen Innes, head of trading for Asia at OANDA, said in an email. "While the US oil inventory data counts, the fact that the markets could still be underestimating the supply crunch from Iran sanction has many Oil investors running with the bulls." 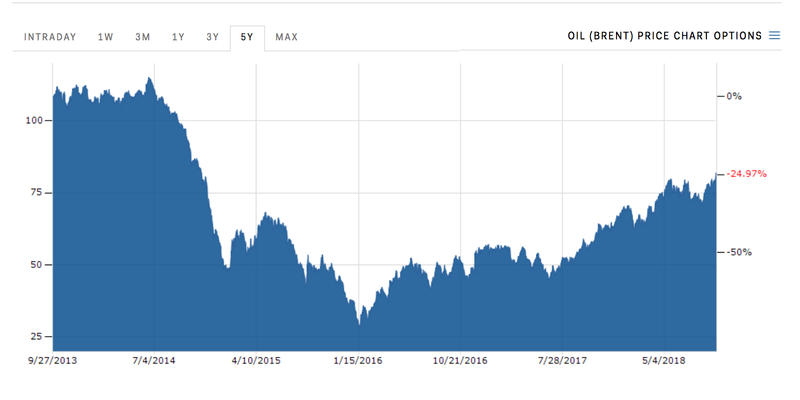 Oil prices are set to increase further in the coming months, with JPMorgan last week arguing that Brent could spike as high as $90 per barrel in the coming months. "The main driver of this revision is a higher estimate of how much Iranian crude exports might decline due to multi-country respect for US sanctions that should come into effect on November 4th," JPMorgan said in a note on September 21. Your opinion matters – Become a BI Insider today! Global stocks fell Thursday, as investors parsed the outcome of Federal Reserve’s decision to raise interest rates and awaited budget developments in Italy. The Stoxx Europe 600 fell 0.5% in early morning trade, dragged down by the banking and automotive sectors. Asian markets mostly fell. On Wall Street, futures pointed to an opening loss of 0.1% for the S&P 500. The index fell on Wednesday for the fourth straight session. The Fed on Wednesday said it would raise short-term interest rates by another quarter percentage point, and central-bank officials signaled they expected to lift them again later this year and through 2019. The central question for investors is how Fed officials can balance the need to raise rates to keep the economy from overheating without hurting growth in the process. The U.S. economy has been growing at a fast pace this year and the unemployment rate has fallen to multiyear lows. The WSJ Dollar Index, which tracks the dollar against a basket of 16 currencies, was up 0.2%. The 10-year U.S. Treasury yield fell to 3.035%, compared with 3.059% on Wednesday. Yields move inversely to prices. International trade frictions continued to be a focus for money managers after U.S. President Donald Trumpaccused China of trying to interfere in the forthcoming midterm elections. The world’s two economies have been embroiled in a trade spat this year, with both sides introducing tariffs, amid growing concerns about its impact on the global economy. “The trade dispute between the U.S. and China does not look like it’s ending soon,” said Paul Donovan, global chief economist at UBS Wealth Management, in a note to clients. Investors were also watching developments in Italy where the nearly four-month-old government prepares to outline its fiscal and economic projections that underpin its budget which will be discussed in October. However, reports that a budget meeting scheduled for Thursday might be delayed sent the euro down 0.4% against the greenback. Italian bonds sold off, with yields on country’s 10-year note rising to 2.939%. In Asia, Japan’s Nikkei Stock Average fell 1% while Hong Kong’s Hang Seng was down 0.4%. In commodities, Brent crude, the global oil price benchmark, was up 1% while gold was up 0.1%. Good morning! Here is what you need to know on Thursday. 1. Asian shares held firm on Thursday, outperforming sagging Wall Street shares, and US bond yields fell after the Federal Reserve raised interest rates as expected, sticking to its script of gradual policy tightening. MSCI's broadest index of Asia-Pacific shares outside Japan rose 0.3%, with South Korea's Kospi hitting three-month highs. European equity futures suggested a weaker opening as investors weigh prospects of additional Fed rate increases. 2. 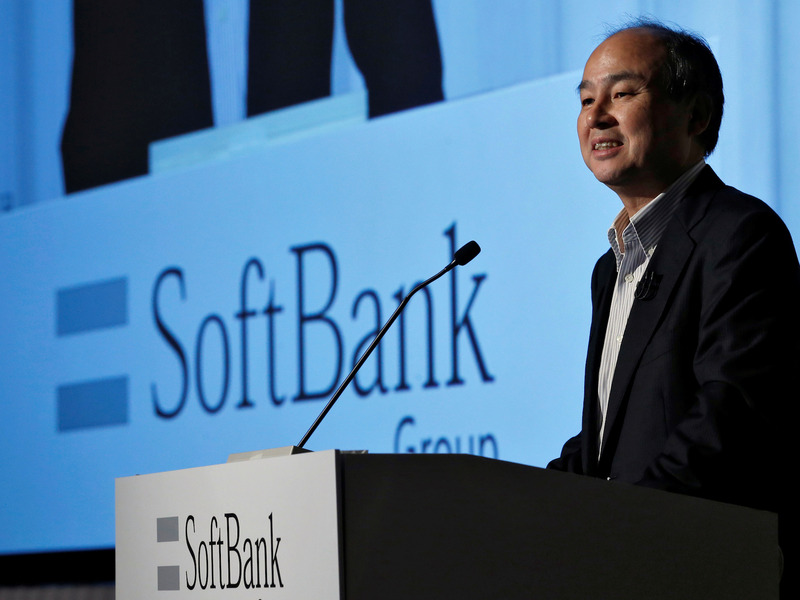 SoftBank plans to create a new $100 billion fund every two to three years, its CEO Masayoshi Son told Bloomberg Businessweek in an interview published on Thursday. Son has attracted more than $93 billion to his Vision Fund technology investment vehicle and has flagged his intention to raise further financing. 3. British Prime Minister Theresa May is losing cabinet support for her plan to revert to a 'no-deal' Brexit if Europe rejects the Chequers proposals, The Times newspaper reported, citing sources. Cabinet ministers including Brexit secretary Dominic Raab, foreign minister Jeremy Hunt, environment secretary Michael Gove and interior minister Sajid Javid are looking to prevent May from locking Britain into a no-deal Brexit, the report said. 4. Italy's new government plans to present its first budget targets on Thursday, ending a drawn-out tussle which has pitted the coalition parties against Economy Minister Giovanni Tria. Reuters reports that the anti-establishment 5-Star Movement and the right-wing League have been pushing Tria, an academic not affiliated to either party, to ramp up the fiscal deficit to finance their promises of tax cuts and higher welfare spending. 5. Swiss startup SEBA Crypto has raised 100 million Swiss francs ($103 million) to build a bank offering cryptocurrency services to companies and investors while extending traditional banking services to firms in the new industry. Headed by former UBS managers Guido Buehler as chief executive and Andreas Amschwand as chairman, the group said on Thursday it is seeking a banking and securities dealer license to manage cryptocurrency trading and investments for banks and qualified investors. 6. Comcast, the victor in the $40 billion auction for Sky, said it had acquired 38% of the British pay-TV group's shares and did not intend to make any further market purchases for now. Comcast beat Rupert Murdoch's Twenty-First Century Fox in a rare auction held last weekend. Fox said on Wednesday it would sell its 39% stake in Sky to Comcast in a move that helps the US group to complete the deal. 7. Oil prices rallied up to 1% on Thursday as investors focused on the prospect of tighter markets due to US sanctions against major crude exporter Iran, which are set to be implemented in November. Front-month Brent crude futures reached $82.17 per barrel. 8. Payments startup Stripe said on Wednesday it has raised $245 million in funding, better positioning the company to expand to new markets globally and attract bigger customers. The new funding round values San Francisco-based Stripe, whose products make it easier for companies to accept online payments and bill customers, at $20.25 billion, a dramatic surge from its most recent $9.2 billion valuation in 2016. 9. Air France KLM's new CEO Benjamin Smith said the French state is prepared to sell its 14% stake in the airline, according to the Financial Times. Smith said French President Emmanuel Macron was prepared to sell the 14% stake — even though "there are some people in Air France that believe that this is something they can have as an insurance", the FT reported. 10. Taiwan said on Thursday its relationship with the Vatican is stable and it would be closely watching developments between China and the Vatican after a landmark deal between the two on the appointment of bishops on the mainland. The Vatican on Saturday signed an agreement giving it a long-desired say in the appointment of bishops in China, triggering worries among some officials in Taiwan that the Vatican could switch diplomatic recognition to Beijing. Brian Acton, the cofounder of WhatsApp, broke his silence and told Forbes that he left Facebook after tensions with CEO Mark Zuckerberg and COO Sheryl Sandberg. According to Acton, he left $850 million on the table by leaving when he did. Facebook executive David Marcus described Brian Acton as "low-class" for criticising the firm which made him a billionaire. Marcus said he read statements in Acton's interview that "differ greatly from the reality I witnessed first-hand." A study reported by Gizmodo shows that Facebook uses phone numbers provided only for security purposes to then target ads at people. Facebook also uses friends' address books to target people by phone number. Payments startup Stripe has raised a $245 million monster round, making it a $20 billion company. The money will go toward product development, international expansion, and building out its payments network. Amazon might take on digital TV rivals like Comcast with its own video ad serving product. The company has discussed building a proprietary ad tech product for its own Prime streaming service, then licensing it out. Sony is officially giving in and allowing "Fortnite" players on PlayStation 4 to play with people on Android, iOS, Nintendo Switch, Xbox One, Microsoft Windows, and Mac. Up until now, PS4 players couldn't play "Fortnite" with other console players. SurveyMonkey went public Tuesday and saw it stock jump as much as 50% in trading Wednesday. The stock's big debut came despite the company's relatively slow revenue growth and ongoing losses. Amazon is opening a new physical store that will items rated 4 stars and above on its site. The store will be located in the SoHo neighbourhood of New York. Facebook executive Adam Mosseri is tipped to become Instagram's next CEO. Mosseri is a 10-year Facebook loyalist and started out as a product designer at the company. Supreme Court Justice Ruth Bader Ginsburg praised the #MeToo movement while addressing law students at Georgetown University on the eve of the highly anticipated hearing where Christine Blasey Ford will testify about her sexual assault allegations against Supreme Court nominee Brett Kavanaugh. Ginsburg didn't mention Brett Kavanaugh nor any of his accusers by name, but she said she supported all women who were strong enough to speak up about their sexual assault experiences. WASHINGTON (Reuters) - U.S. Supreme Court Justice Ruth Bader Ginsburg voiced support for the #MeToo movement on Wednesday in a striking statement on the eve of a high-stakes U.S. Senate hearing into allegations of sexual misconduct by President Donald Trump’s nominee to the court, Brett Kavanaugh. 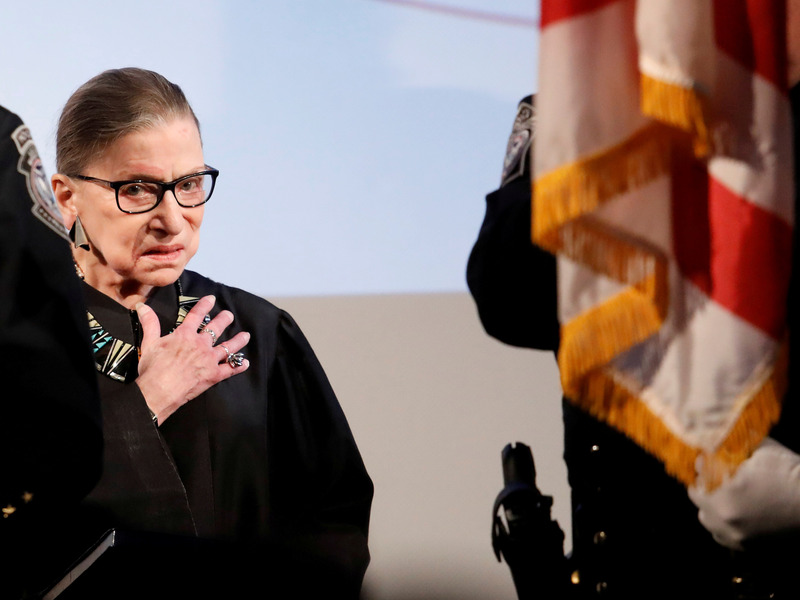 During a question-and-answer period after an address to first-year law students at Georgetown University in Washington, Ginsburg was asked if there was anything she was excited or disappointed about regarding the current women’s movement. After discussing the problem of “unconscious bias” that leads to gender discrimination, she said she was “cheered on” by the #MeToo movement, a national reckoning with sexual assault and harassment that has brought down dozens of rich and powerful men. “Every woman of my vintage has not just one story but many stories, but we thought there was nothing you could do about it - boys will be boys - so just find a way to get out of it,” said Ginsburg, 85. Ginsburg did not mention Kavanaugh or the women who have accused him of sexual misconduct. During a Senate hearing on Thursday, one accuser, Christine Blasey Ford, will testify about an alleged 1982 incident in which she said Kavanaugh sexually assaulted her when both of them were in high school. 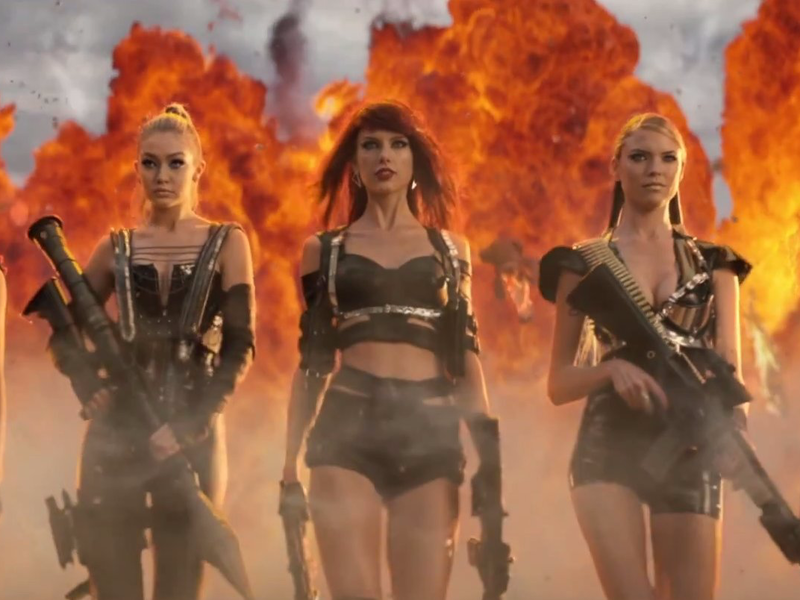 Two other women have come forward with allegations. Kavanaugh, who was named by Trump to replace Justice Anthony Kennedy, who retired in July, has denied the allegations. The Supreme Court’s 2018 term officially begins on Oct. 1. Qantas has chosen the regional Queensland city of Toowoomba as the location for its new pilot academy that will train up to 250 pilots a year. CEO Alan Joyce says the location — which has uncongested air space and hundreds of clear weather days each year — is a “textbook” place to learn to fly. The world will need nearly 800,000 pilots over the coming two decades. Qantas will invest $20 million in the facility and other investments will bring spending to $35 million. More than 18,000 people have applied for the new Qantas training program, with 16% of them women. Qantas says fixing the gender imbalance in the industry is a focus of its training plan. Qantas will build a pilot training academy in the Queensland regional city of Toowoomba, west of Brisbane, as part of its $20 million plan to address ongoing pilot shortages. The plan that CEO Alan Joyce announced in Australia on Thursday is the first of two regional locations for training under the pilot academy plan, chosen from a shortlist of nine locations, including Alice Springs, Dubbo, Launceston and Tamworth. 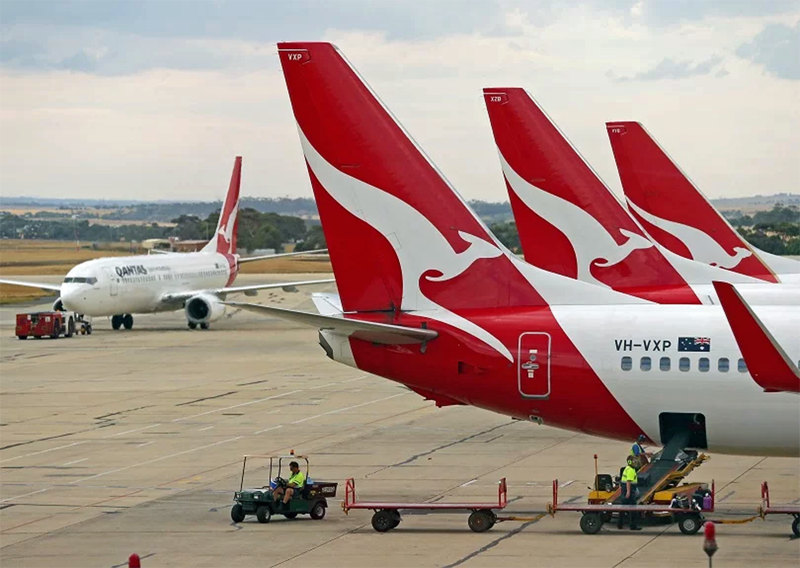 Qantas will build a new hanger, classrooms and student accommodation at the recently built Wellcamp airport in Toowoomba, where up to 250 pilots a year will be trained. The academy is due to open in mid-2019. Joyce said a range of criteria went into choosing the right location, including uncongested airspace and a high number of clear weather days. “Toowoomba will be an amazing place to learn to fly. It’s home to Australia’s newest airport and offers over 300 days of Queensland sunshine each year and an environment that is textbook for pilot training,” he said. Joyce said the academy will train pilots for both Australia and the world. While the global industry is expected to need around 790,000 more pilots over the next 20 years, but interest in the Qantas academy suggests finding suitable applicants won’t been too much of a challenge, with 18,000 people already registering their interest in the airline’s training program. Joyce said that addressing the gender imbalance in pilots — just 3% globally are currently women — will be a key focus in the Qantas program, with 16% of registered applicants women. Construction on the Wellcamp airport facilities are expected to begin in October, with the total infrastructure investment expected to be around $35 million, with the majority of this funding contributed from private sector partners. The Toowoomba project is expected to create 100 jobs, as well as 300 indirect jobs in the construction industry, with the Academy employing up to 160 people in training and support roles. L3 Commercial Aviation, a global training business with facilities in the UK, USA, New Zealand and Portugal has been engaged by Qantas to deliver the pilot training. The second location for a pilot academy is expected to be announced by the end of this year. 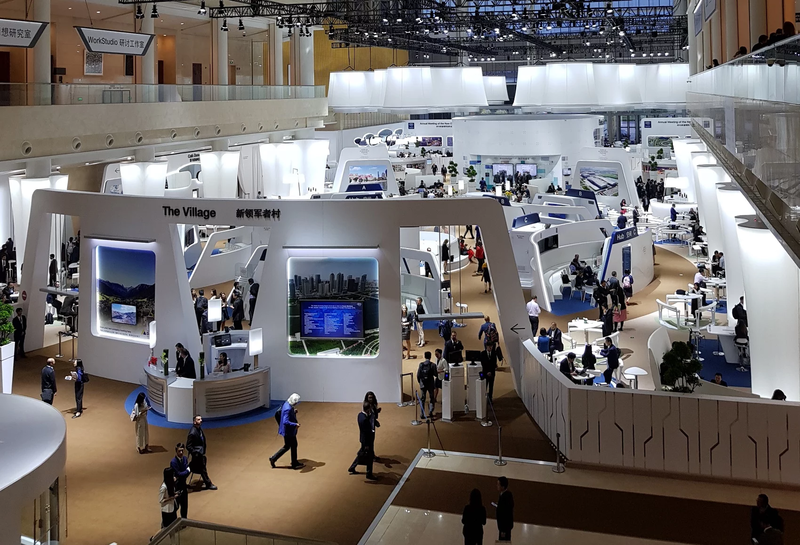 The World Economic Forum’s “Annual Meeting of the New Champions” was held last week in Tianjin, China, bringing together scientists, entrepreneurs, and global industry executives. Artificial intelligence, machine learning, manufacturing automation and recognition technologies are far beyond conceptual ideas: they are increasingly well-developed and in widespread use across a range of industries. Recognition technology is advancing rapidly and has implications for not just surveillance but also retail and product recommendations across industries. There are economic benefits, according to some modeling, but also a lot of risks. Thursday evening was spent near the banks of the River Hai at a bad German restaurant in the Italian Style Quarter of Tianjin. We shared banana splits and there was a conversation about memetics among the group, which included a direct descendant of John Jacob Astor and a Kiwi physicist whose company sells AI-generated reports to investment banks and intelligence agencies. Yes, the big ones. 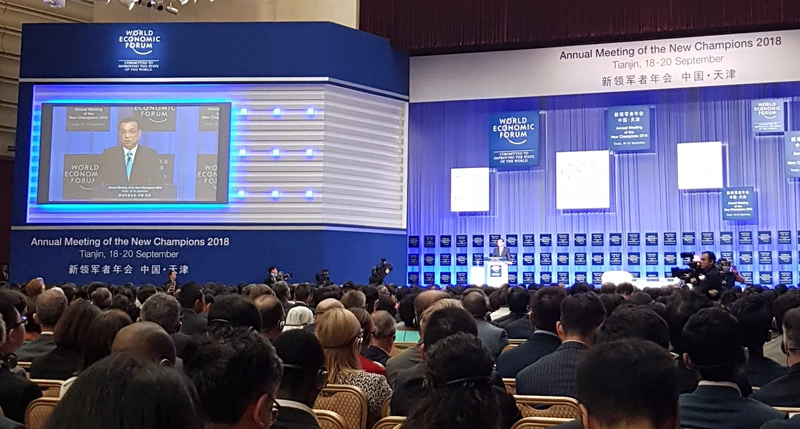 Tianjin – a feeder city for Beijing with a population of 15 million – was the location for the WEF’s Annual Meeting of the New Champions, also known as “Summer Davos”. As one person explained it, Davosis for those who sit over the top and provide the capital and leadership, while this event is for the doers. There wasn’t a clear fulcrum of conversation for the event as there was in Davos back in January, when the investment and corporate worlds had their minds focused by a warning from BlackRock CEO Larry Fink about the need for companies to have a “social purpose” if they were to secure part of the $US6.2 trillion in funds he manages. Escalating economic tensions between the US and China were naturally on the agenda, with Premier Li Keqiang delivering an official opening speech on Wednesday. Somewhat bizarrely he didn’t mention the tariff exchanges, but did promise China wouldn’t allow the yuan to continue depreciating, a declaration that moved global currency markets. He also promised to ensure foreign companies have a level playing field in China – an ongoing bugbear for firms setting up in the world’s second-largest economy – and directly invited people to register complaints about unfair treatment with the government, while threatening severe consequences for government officials found to be causing trouble for overseas firms. And while he didn’t talk directly about tariffs, he did say China would continue to reduce taxes and fees for business. “This is not empty talk… we will make sure these are materialized with concrete actions,” he said. The underlying message: while the US goes down the protectionist route, China will continue to open up. One striking feature of the three-day event was the advanced nature of the discussion around artificial intelligence and machine learning. The conversation has moved a long way beyond the conceptualization of the technologies and the question of whether they may be of benefit to industry or have the potential to disrupt. It is deep into its applications into every industry sector and business model. Clearly, there’s a rapidly expanding class of established companies and well-funded startups that are far advanced in their use of these new technologies to solve existing problems and build new businesses. Events like this where the C-suite executives and entrepreneurs involved are all under the one roof underline the scale of progress. It’s hard to escape the sense that companies not actively working to automate process and find AI applications that support the evolution of their businesses are going to be overwhelmed by this exponentially expanding cohort of leaner, smarter, globally-focussed companies that are already well advanced on the path to capitalising on what the World Economic Forum calls the Fourth Industrial Revolution. This is the idea that automation and the connection of vast, newly created datasets being analysed and processed by machines will create new businesses, destroy some existing ones, and reshape how people live. The technology adoption cycle, it seems, is becoming shorter. At least to the delegates, AI and machine learning are no longer shiny new things. Perhaps this is because, nowadays, when some new digital idea comes along – think about Web 2.0, blockchain, the idea of the Internet of Things — we’ve all seen the movie before. The technology becomes rapidly integrated into industry practice – again, consider how IoT is now meaningfully integrated in the transport sector providing real-time updates on public transport networks – instead of there being a debate about "whether this is the right thing to do." China is certainly building a huge amount of capacity in artificial intelligence, not least in visual recognition. 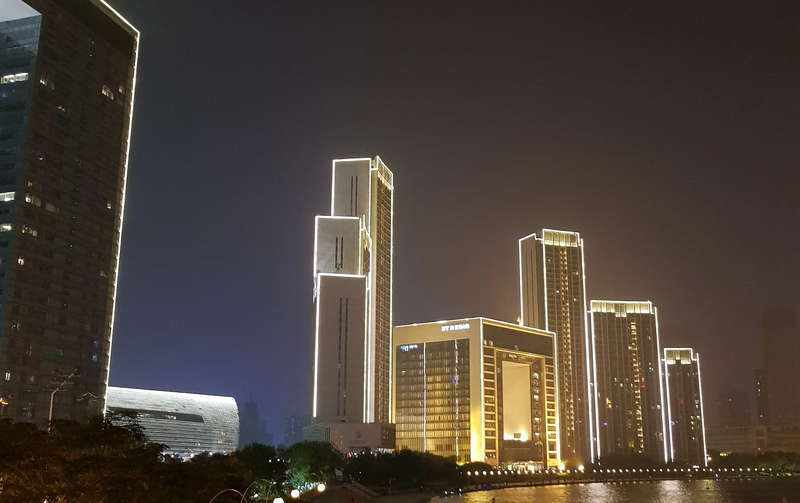 One CTO from a multinational food company recounted visiting a startup in Shenzhen China’s technology hub on the mainland not far from Hong Kong. The product they were demonstrating was for textile recognition: you could take a picture of a random fabric and the platform could identify it and then provide suggestions for getting a suit or garment made from that particular material. Cute idea. But there was much more to this company. The firm, the executive recounted, had been given the photos from the identity cards of all the residents of Shenzhen. They are also given access to every photo taken at every street corner by the city’s surveillance cameras each day. You don’t need much imagination to come to grips with the nature of their other core business. This company that does clever things with figuring out how to find you a suit made from a fabric that takes your fancy is also engaged in mass public surveillance. The widespread use of this type of recognition engine will of course have huge implications for society and the boundaries of privacy. But the horizontal transfer from surveillance into textiles is a powerful example of how a technological development in one area creates opportunities for disruption or improvement in another. Innovation has contempt for sectoral siloes. Today’s Airtasker is tomorrow’s reinvention of capital expenditure models for agriculture. Various types of recognition technology – from visual to speech to asset prices — were being showcased and discussed at the forum. I interviewed Jason Crain, Amazon’s entrepreneur-in-residence, who sold his recognition startup, Partpic, to Jeff Bezos’s company and now works there helping build the capability for the e-commerce giant. Partpic allowed people to take photos of hardware parts and order them from major US hardware chains. It involved building a platform that could distinguish between different nails and screws and bolts from each other, just from a photo taken on a smartphone. They started with the small items like fasteners because as Crain explained, the AI recognizes things a bit like the human eye and brain – it takes effort to look at small things and recognise them, but gets easier as you work up into larger items like machine parts. Crain, who used to work at the global leader in music recognition, Shazam, revealed Amazon has iterated on his technology and is using it to help catalogue the tens of millions of items that it sells in a visual database. There is a future not far away where you will be able to point a camera at almost anything and order it from Amazon. The idea for Partpic came from Crain’s co-founder who worked in customer service at a hardware retailer. Their call centres were consistently struggling to help customers identify broken parts and precise hardware requirements. People would call saying a widget had broken; it was simply impossible to identify the exact part over the phone, and meanwhile their machine had broken down and they were losing thousands of dollars. Often, after an agonizing process of trying to describe the faulty part, the hardware company would ship out an item that would turn out to be not what was required anyway. Partpic solved this problem for hardware stores. But Amazon, naturally, has a bigger idea in mind: the Shazam for everyday objects. How many jobs do you think there are in the world where recognizing what a customer is after is a skilled role that needs knowledge and understanding of a large inventory of supplies? This is work and expertise that is currently in not just at the end of the phone in customer support call centres, but in front-line retail jobs all over the world. Automated product recognition and recommendation is going to entirely replace that particular knowledge element of those jobs. Playing the tape forward, it extends into product recommendation in all sorts of other categories such as finance or agricultural machinery when there is sufficiently rich data on a customer’s needs. This of course will increasingly be the case as various aspects of industry performance and our own individual consumption preferences are captured by platforms in the data age. How public policy responds to the potential job disruption from automation was also a topic of discussion. 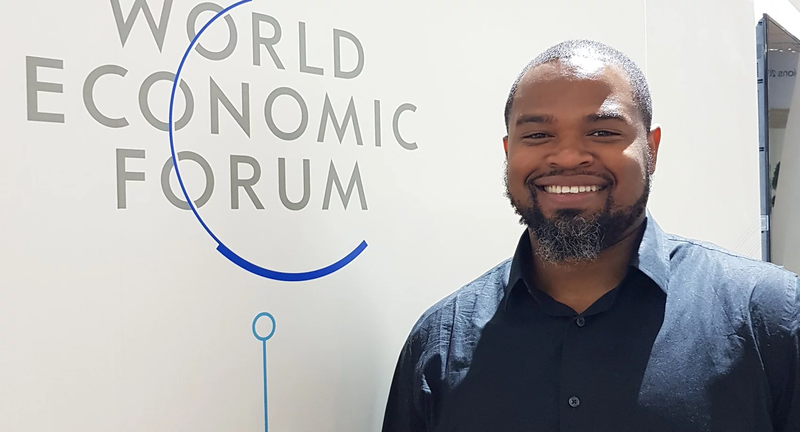 The World Economic Forum works hard to ensure questions around social impact and inequality are woven into the conversation about innovation and technological advances. One of the more confronting scenarios here is that proposed by Oxford professor of globalization Ian Goldin, whom I interviewed last year and was speaking at a range of events in Tianjin. He argues that emerging economies which have benefited from decades of manufacturing offshoring by advanced nations – lifting billions out of poverty in the process –are potentially at risk of a catastrophic collapse in demand for their services as robots replace the millions upon millions of jobs that have been created in countries like China and India. But there are more upbeat appraisals. PwC’s UK chief economist John Hawksworth has built a global macroeconomic model for assessing the impacts of automation. He admitted being surprised by the results it has been returning, including a base case that new industry has the potential to add more than 20 per cent to China’s GDP over the coming two decades, if the policy settings are right in areas like competition policy, education and healthcare (and as long as wages don’t rise so fast that they increase the incentives for companies to automate more and more work). Hawksworth’s basic premise is that while automation will dislocate some existing jobs, China “will become the world leader in manufacturing all the robots, and the drones, and driverless vehicles. While that process will also be automated to a degree, there will still be some jobs,” he said. But that’s just the start. The necessity of retraining people whose jobs are automated will increase demand for “human touch” jobs in education through the need for more teachers and teachers’ assistants, and in the aged care sector to cater for China’s rapidly changing population. Hawksworth also has an interesting perspective on the idea of a universal basic income, or UBI, the policy tool that has seen increasing attention. He argues a UBI in China is impractical because it would simply be unaffordable to make it not just truly universal but also meaningful to 1.4 billion people. Instead, he sees potential for a special treatment of those “human touch” jobs that improve social outcomes and, over the medium-term, improve cohesion, productivity, and a society’s economic potential. It all makes any time spent thinking about the self-indulgent tendency of political classes to become obsessed with their own issues doubly despairing. The scale and pace of change going on around the world in technology and industry are enormous, with major implications for investment flows, regulation, and society because of the likelihood of job dislocations and changing skills requirements. This presents major challenges for public policy and it’s impossible not to notice how far removed political leaders are from driving a real conversation about how they are going to manage it. Microsoft today released a new Windows 10 preview for PCs with four bug fixes and one small change. This build is from the 19H1 branch, which, as its name indicates, will arrive in the first half of next year. Microsoft is simultaneously in the process of finalizing the RS5 branch, which represents the Windows 10 update the company plans to release in October. The next update, dubbed the Windows 10 October 2018 Update, will bring Windows 10 to version 1809. While today’s build is for the update after that, rumors are swirling that build 17763 is the final one, but nothing is done until Microsoft says it is. Fixed an issue resulting in Narrator text to speech not making sense when reading Narrator’s Quick Start pop up in Japanese. Fixed an issue resulting in app icons sometimes becoming invisible in the taskbar in recent flights. Fixed an issue that could result in an IME not working in Microsoft Edge the first time it was launched. Fixed an issue resulting in WebView controls potentially not responding to keyboard. Rolling out this week, along with more bug fixes, is a “Preview” tag to Your Phone app. Today’s update bumps the Windows 10 build number for the 19H1 branch from 18242 (made available to testers on September 18) to build 18247. When using dark mode, File Explorer’s context menu has an unexpectedly thick white border. Task Manager is not reporting accurate CPU usage. This should be fixed in the next flight. Arrows to expand “Background processes” in Task Manager are blinking constantly and weirdly. The Task Manager issue is interesting because if Microsoft hasn’t fixed it yet here, in the 19H1 branch, then it hasn’t fixed it in the RS5 branch either. That will need to be resolved before the October 2018 Update is finalized.